They are constantly surprising themselves with what they can do in training – this applies to anything from doing push ups, pulling a sled and lifting barbells off the ground. Under the right supervision and correct training my clients are amazed at what their bodies can do. More often than not my female clients are stronger than they think! The common myth around why women avoid weight training is that they don’t want to get too big or look bulky, therefore they opt for cardio training instead as a way of trying to lose weight. 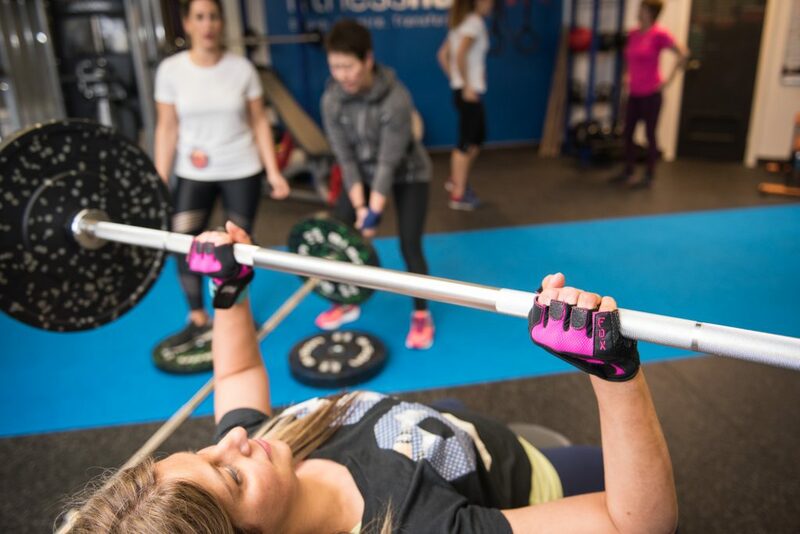 There are a growing number of women who are now reaping the benefits of switching to resistance training. Research suggests weight training can slow down the aging process, helps to build muscle mass, can help in blood sugar regulation, helps prevent osteoporosis and increases energy expenditure. At Fitness Hub 21 our clients don’t necessarily have a history of training, they simply want to be fit and healthy as they age, have a stronger core, and in some cases lose weight. Our gym provides the ideal environment for anyone to keep fit – it’s boutique, private and welcoming. What’s more is that the training sessions are fun! We support each other and share in our individual improvements.